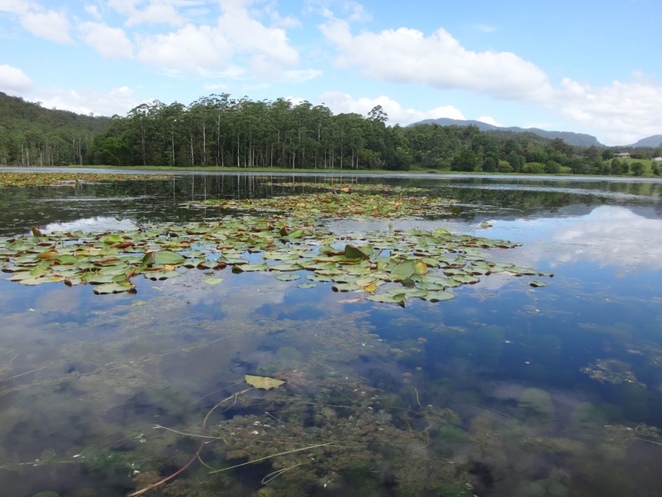 Today, I loaded my small car, mounted my kayak, grabbed my partner and took off to discover the hidden beauty of Northern NSW. As we ventured down south crossing the border, we admired the stunning landscape of endless rolling hills and valleys, the tasty fruits from the local vendors on the side of the road, and the pure serenity that nature had to offer. It was just one hour into our drive, that we discovered a truly beautiful and hidden gem of Crams Farm. This place is open to the public during daylight hours and to our joy, there was a lake, and kayaking was permitted! 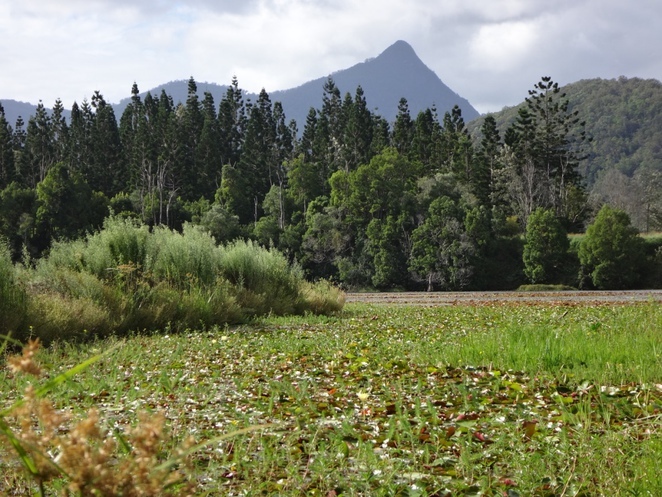 The farm is huge, with lots of picnic areas and conveniently a boat ramp! 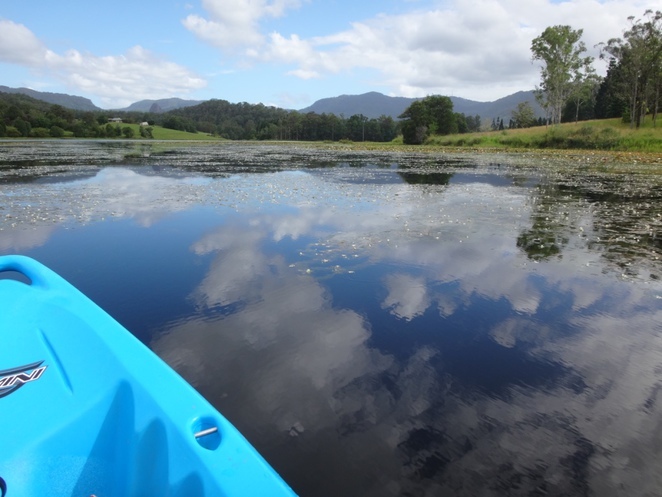 We launched the kayak into the calm waters immersed with hundreds of beautiful floating water lilies and admired the breathtaking beauty of Mount Warning in the horizon. 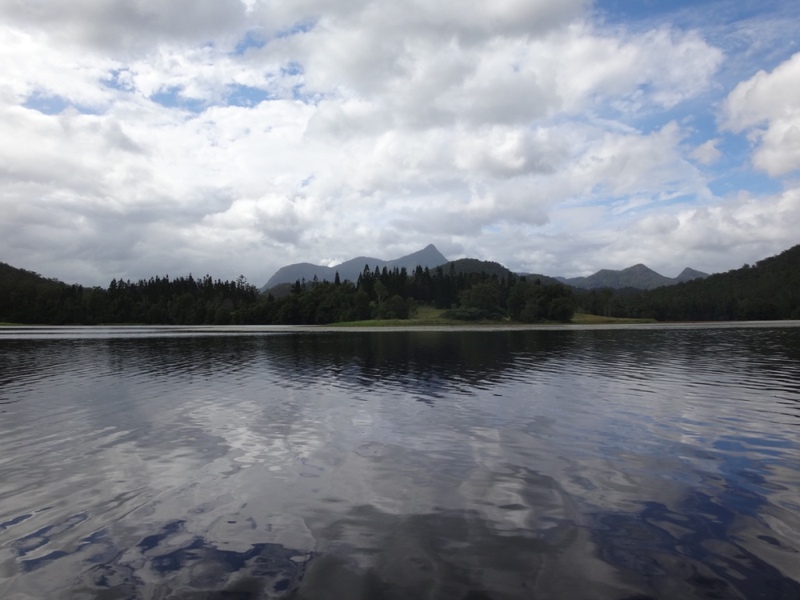 We paddled away, passing a few small islands, "Afro island" which was Afro shaped and "Snake island", which we hoped was not named for the obvious reason! 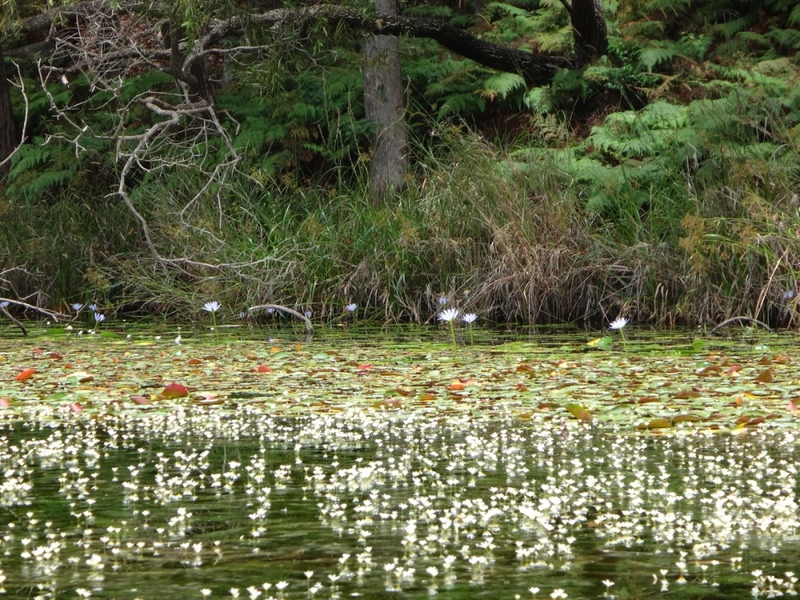 We were the only ones on the water, surrounded by the beauty of nature and birds, many of which I could not name! Motorboats are not allowed here which adds to the peacefulness. We watched and waited as two Black Swans elegantly moved through the waters, and marvelled at rafts of ducks taking off and landing right in front of us. This was the only & best kind of traffic we had! 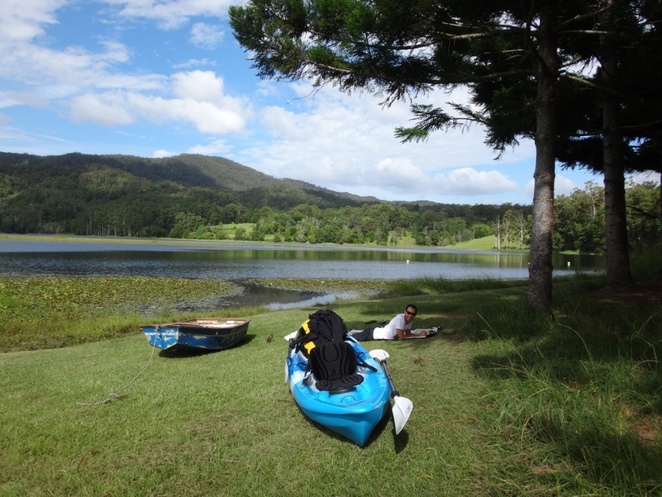 We took a picnic with us in the kayak and stopped for a break and bite to eat at Clarrie Hall Dam approx 8km from the starting point. 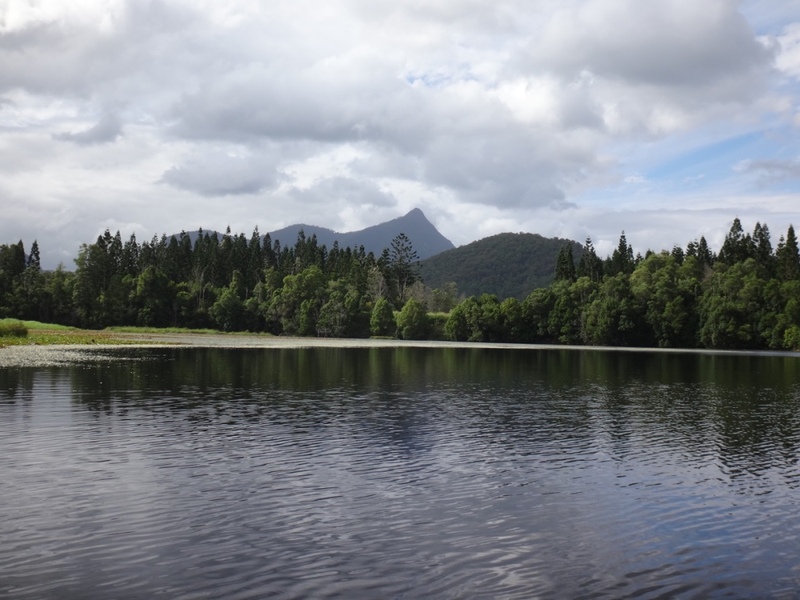 On our way back to the farm we followed the same path weaving through the half immersed eucalyptus trees and passing alongside the islands, whilst admiring the stillness and reflections in the water and feeling appreciative of the beauty of where we live. 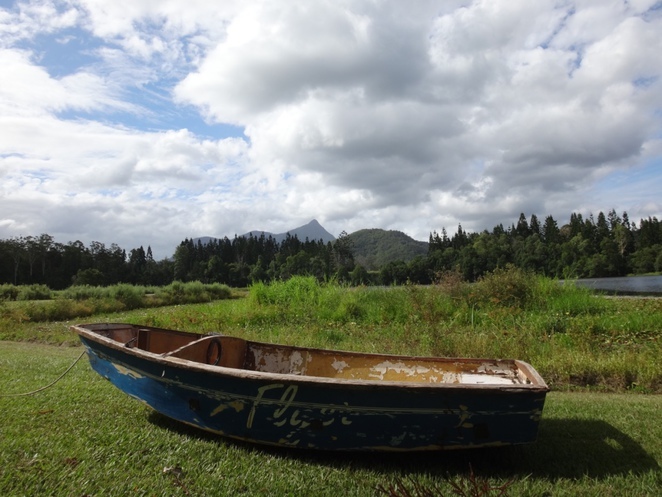 The whole of Mount Warning was now visible and the views from the waters were just picture perfect like something you'd find on a postcard. We then ended the day relaxing under the shade of a tree lying on the picnic rug taking it all in and reflecting on a truly wonderful day. The total kayak distance is ~15km and takes around 3 hours to paddle from Crams Farm to Clarrie Hall Dam and back. A highly recommended day trip for anyone who just wants to escape the city, relax and unwind.